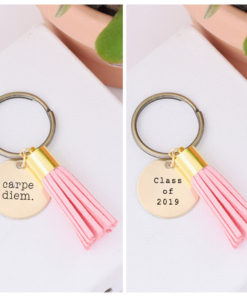 This keychain makes the perfect gift for 2019 grads. 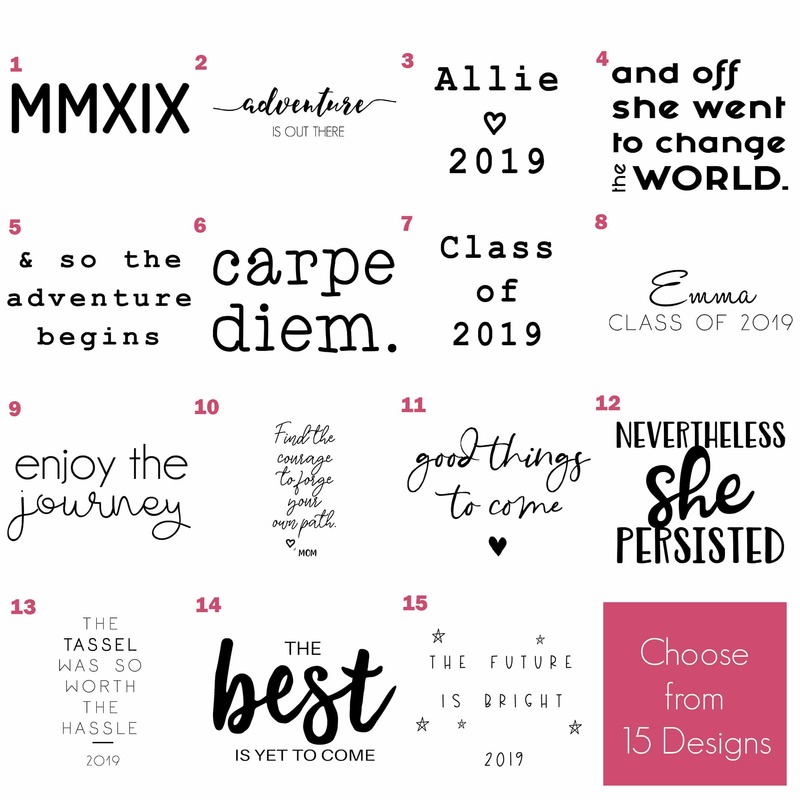 Personalized just for them with your choice of 15 different personalized designs. 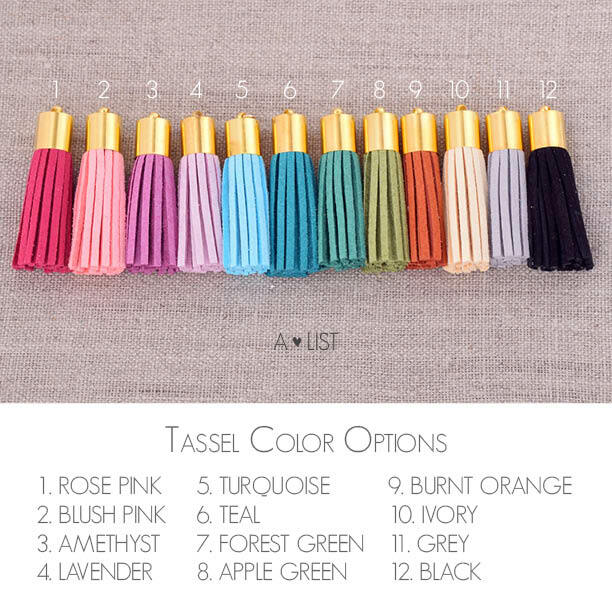 These can be used as a traditional keychain or attached as a cool accessory for your tote or backpack! 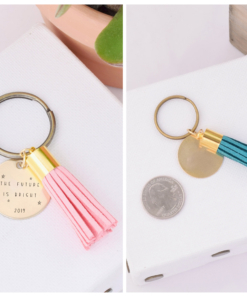 High-quality suede leather and antiqued brass, make up this bestselling keychain. 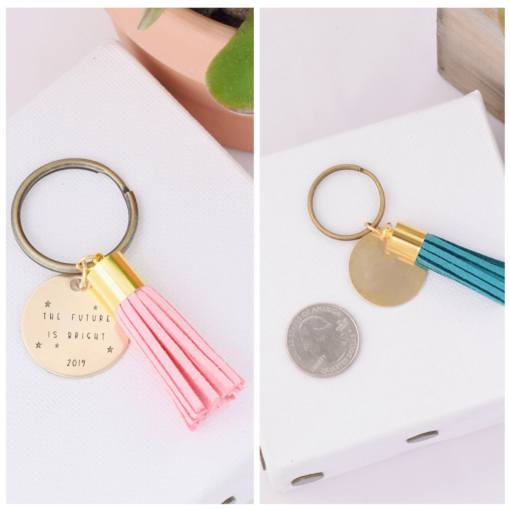 The total length of the keychain including the brass keyring measures 2 ½” long with the tassels measuring 1 ½”, and the engraved brass charm measuring 1 inch round. 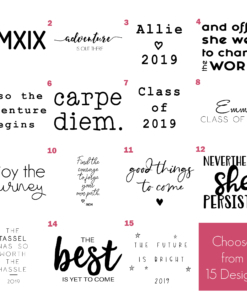 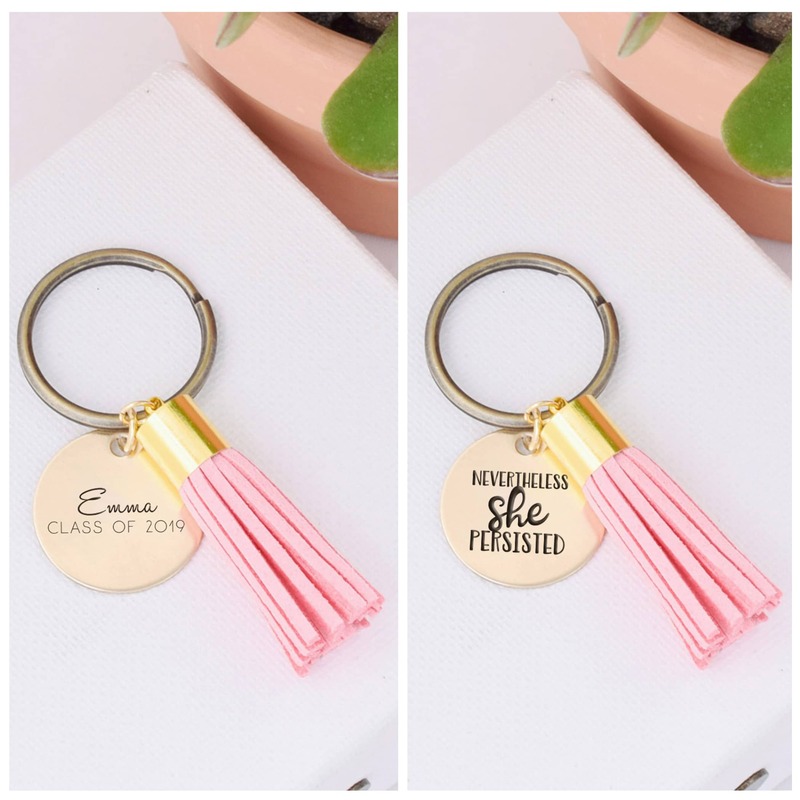 With your choice from 12 stylish color options and personalization, this keychain is made to order, so be creative and we will make it perfect for your grad. “It was perfect and beautiful! 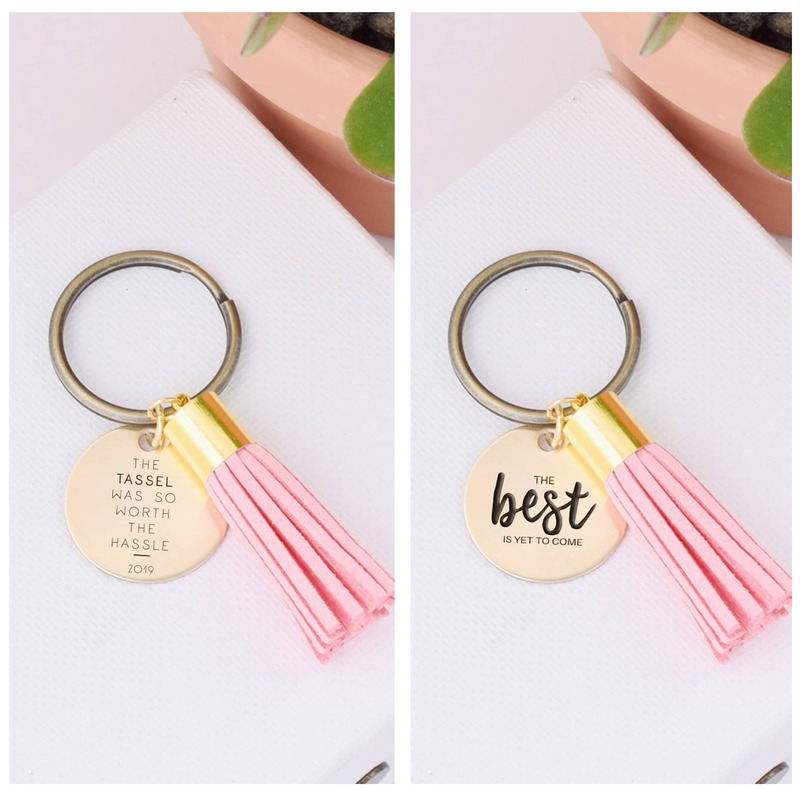 Thanks!” -5 out of 5 stars from J.M. 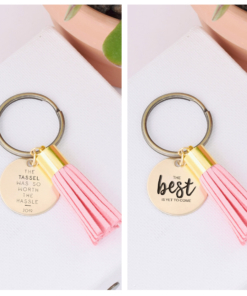 “This was the perfect gift! Arrived so quickly too. Just cute and looks like great quality for an affordable price :)” – 5 out of 5 stars from T.H. 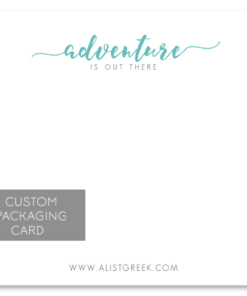 “Loved the final product!” -5 out of 5 stars from L.K. 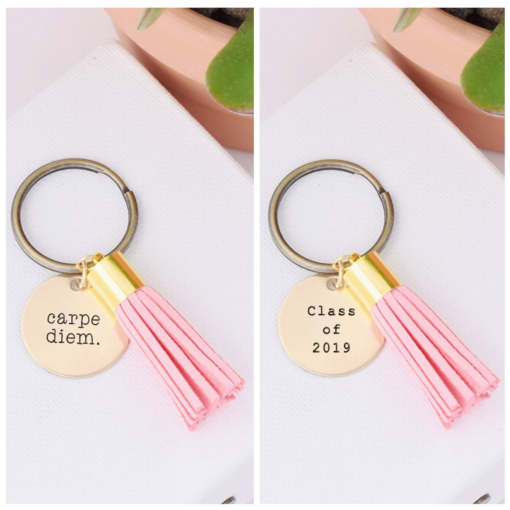 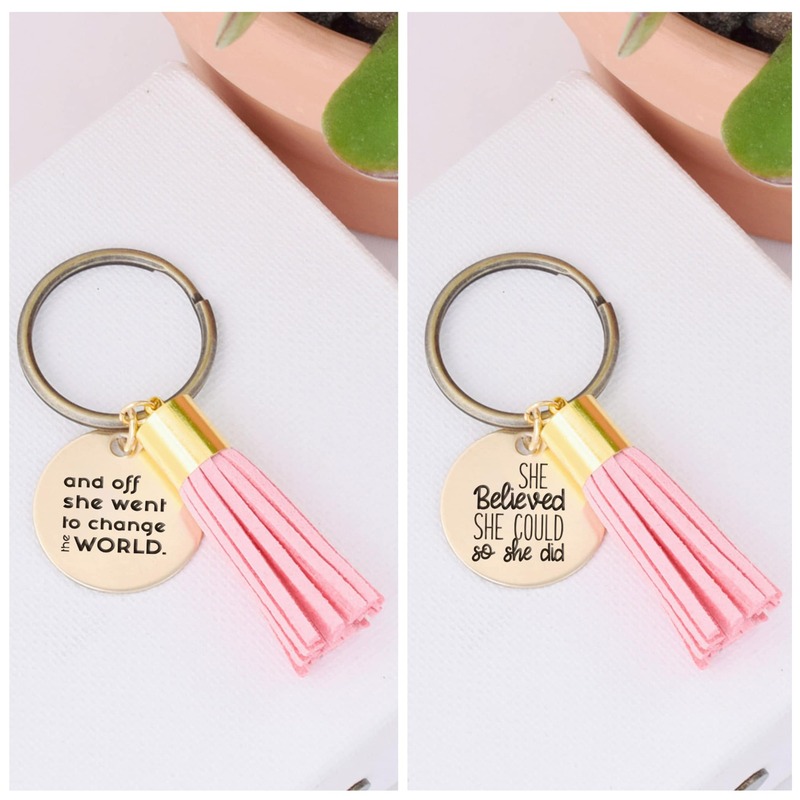 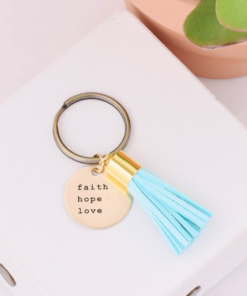 These tassel keychains are one of our favorites because tassels are such a popular trend and we were able to combine it with our subtle, sorority stye. A-List Greek was founded in 2013 by sorority women in Orange County, CA and even though we are small, our customers are always our top priority. 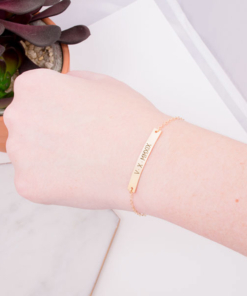 We hand design and handcraft every item in our Orange County workshop with love, so we especially love making gifts for you and your loved ones that are extra personalized. 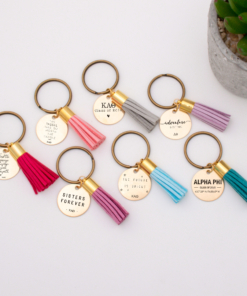 Each keychain is shipped ready to gift in our custom packaging with a custom designed packing card, care instructions and an elastic hair tie. 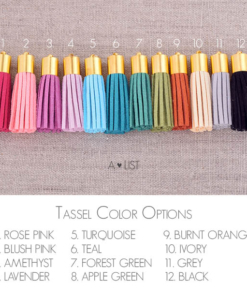 You have the option to add-on a velvet tied gift box to make it a little extra special. 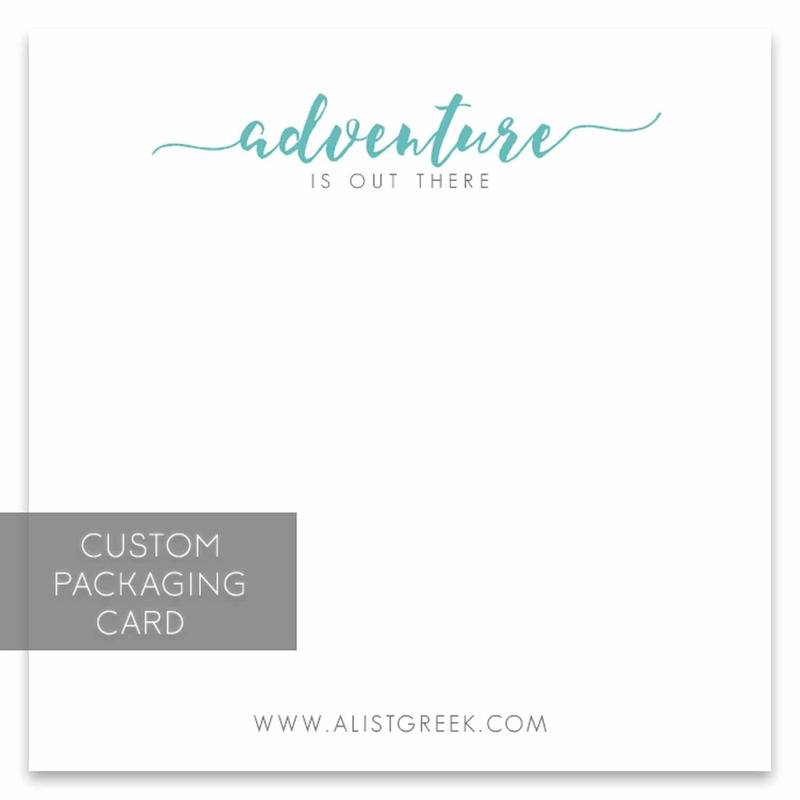 Make sure to check the add-on box right next to the drop down menus above before checking out.